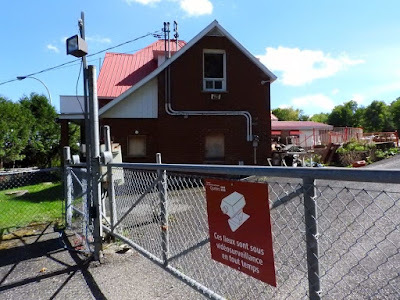 The government recently became the sole owner of the infamous red roof building at 1575 Wellington Street South, valued at over $ 424,000 according to the City of Sherbrooke's land register. Not so fast say lawyers for the HA. An application was filed in Montreal last week. 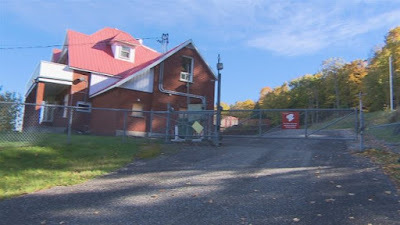 The State is expected to act as it did in 2015 with the former bunker in Trois-Rivières, which it also obtained through court confiscation. A rapid demolition of all structures and sale of the land to the highest bidder. The City of Sherbrooke would receive a portion of the proceeds from the sale to recover nearly $ 50,000 in municipal taxes that has remained unpaid since the 2009 SharQc operation. The state says they have demonstrated that the Hells used the "almost impregnable fortress" to facilitate their criminal activities, including plotting the murders of their enemies during the bloody war with the Rock Machine in the 1990s. A major symbol of the violence of the gang, the den was also the scene of the "Lennoxville Massacre" where five members of the North Chapter were shot dead before their bodies were put into sleeping bags with concrete blocks and thrown into the river. Most point to this event as the start of the biker war in Quebec.